Hear hear! 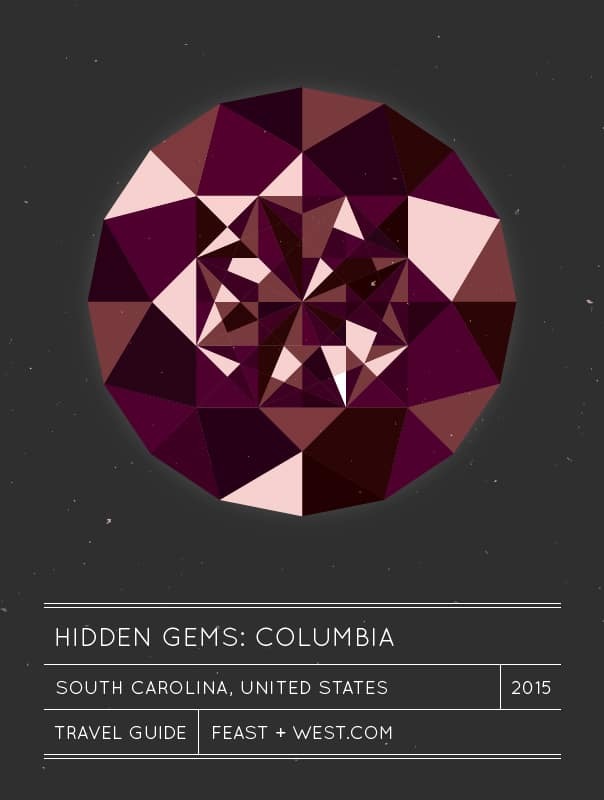 It’s Morgan from Yellow Door Diaries with a Columbia, S.C. travel guide! Read on to find some of the hidden gems in this historic city. 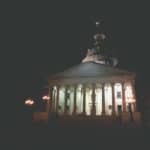 I moved to Columbia from a small town in South Carolina to go to college at the University of South Carolina. (Go Gamecocks!) I wanted to leave home, expand my horizons and meet new people. I also had the comfort of knowing my sisters were there, as well as some people from my town. It was big enough to feel like a new and exciting adventure, yet small enough that it was hard to get lost and I would occasionally run into a familiar face. After four years of college (and after meeting the man that would later become my husband) Columbia was officially home. I got my first “big girl” job and my first one-bedroom apartment by myself. Columbia, or Soda City as it’s affectionately called (Cola is short for Columbia… soda…) has really great places for college students, young professionals, singles, young professionals, families… you name it. There is so much to do and so many places to visit, many of which get overlooked. 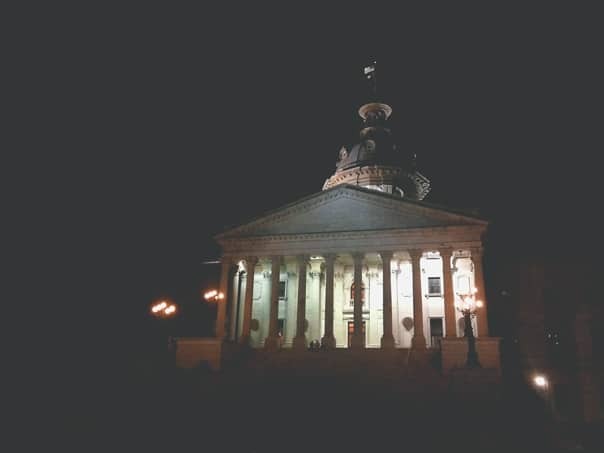 Next time you find yourself in Columbia, I would encourage you to check out a few places in this Columbia, S.C. travel guide! And if you want someone to show you around, give me a shout! Click below to see Morgan’s guide to Soda City! DiPrato’s, 342 Pickens Street — If you want to try a Southern food staple, look no further than DiPrato’s. Their famous pimento cheese and pita chips are to-die-for, and there are variations of the original pimento cheese that will knock your socks off. 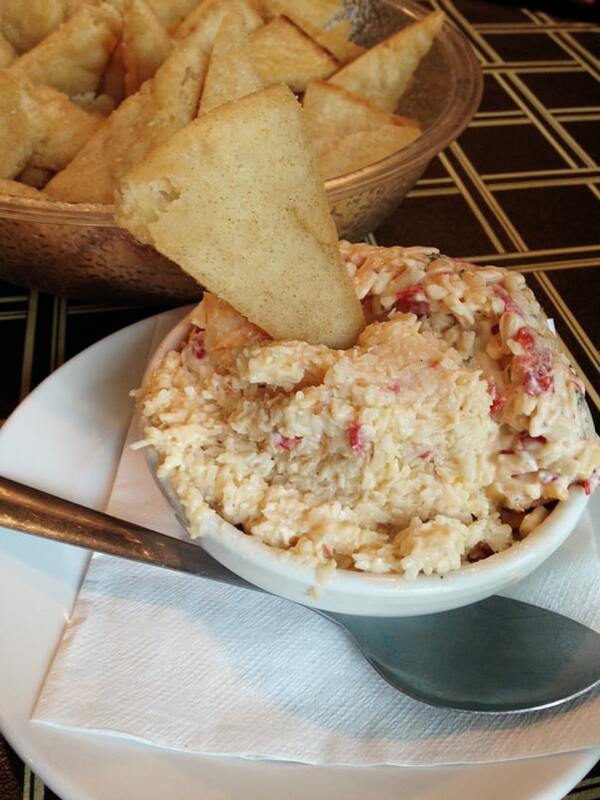 Everything on the menu is great, but the pimento cheese is a must. Thirsty Fellow, 621 Gadsden Street — This pizzeria and pub has great pizza and great happy hour specials. 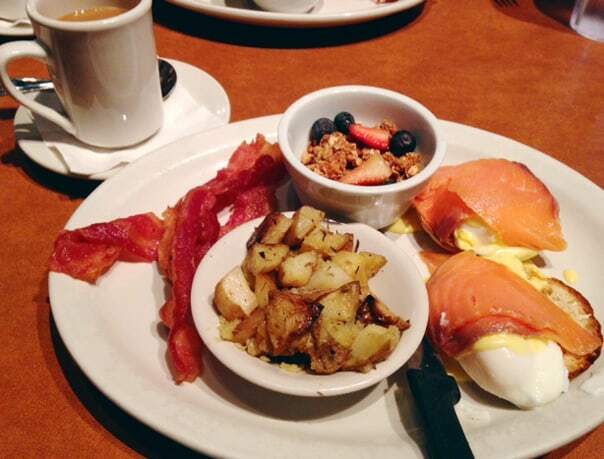 A little less well known is the fact that they have an awesome Sunday brunch! If you find yourself in Columbia on a Sunday afternoon, it’s a brunch to check out for sure. Blue Marlin, 1200 Lincoln Street — Hands down the best shrimp and grits south of the Mason Dixon. Order it. Eat it. Love it. Thank me later. 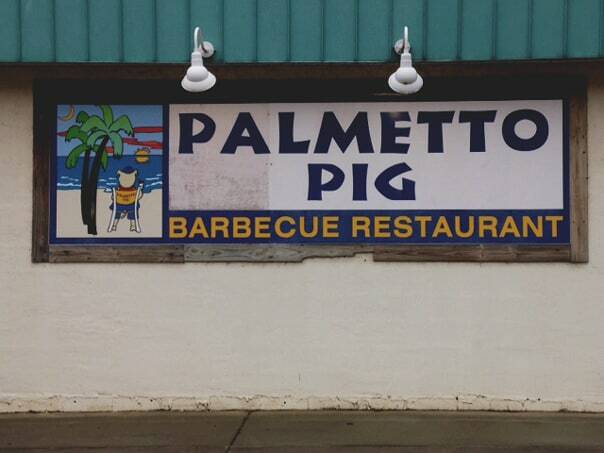 Palmetto Pig, 530 Devine Street — Real, authentic southern BBQ. It’s a buffet place that is known locally for the best BBQ in town. 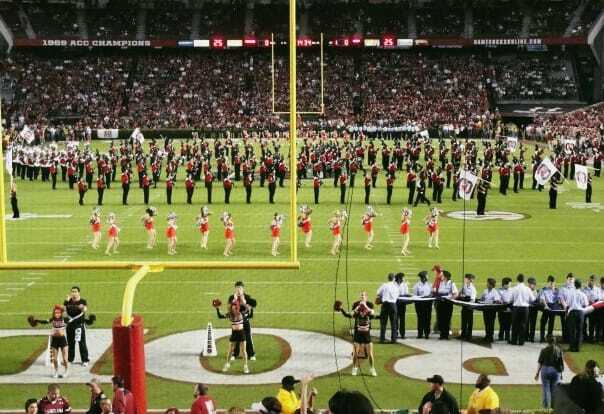 It’s also a convenient place to stop and grab some to-go tailgating trays on the way to the USC Baseball or Football stadiums. Pawley’s Front Porch, 827 Harden Street — Featured on the popular Food Network show “Diners Drive-Ins and Dives,” Pawley’s is mainly popular for their burgers. Boasting variations such as Isle of Palms, Caw Caw Creek, and the yummy Edisto, there is a burger to please almost every carnivore! They also have a food truck that can be reserved for a special event. 2 Fat 2 Fly — This popular Columbia food truck is getting their own TV show on the Oprah Network! The stuffed wings gained rapidly popularity after two USC students started selling them in 2010. Find their truck or reserve it for a special event while you’re in town! Rockaway Athletic Club, 2719 Rosewood Drive — This dive has your average bar food and burgers, but the atmosphere is really what makes it special. It’s a great place to go watch sports and to meet friends for drinks. It’s casual and inexpensive — making it a great place for college students and adults alike! The Gourmet Shop, 724 Saluda Avenue — This is a great place for gifts and gift baskets, with their delicious cheese, wine, champagne, cigar, and kitchen item collection. In addition to the shop, however, is a great deli. Light and delicious, The Gourmet Shop is very popular among locals for lunch, especially on the weekends. Parties or 2 or 3 are best (since it’s small) and be sure to prepare for a wait! Drip, 729 Saluda Avenue, or Drip on Main, 1441 Main Street — The main differences in these sister coffee shops are decor and customer demographic. Main Street is a bit more streamlined and Five Points has a bit more of an eclectic flair — both great! 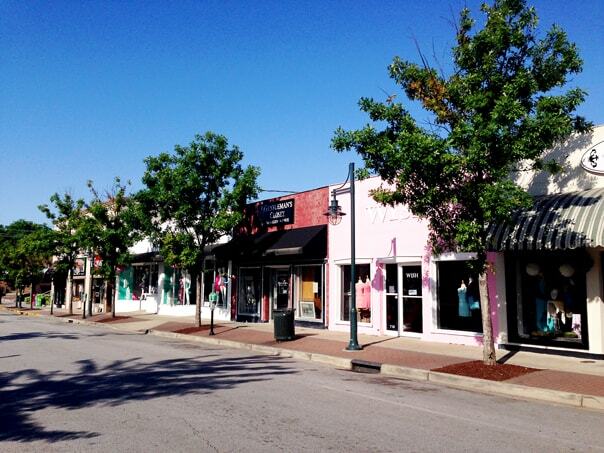 Main Street caters to professionals and businesses, while Five Points caters more to college students and tourists. That is where the differences end, though. Both shops have divine coffee and wonderful atmospheres where you can really kick back and take your time sipping your beverage with a friend or alone poring over your latest read. 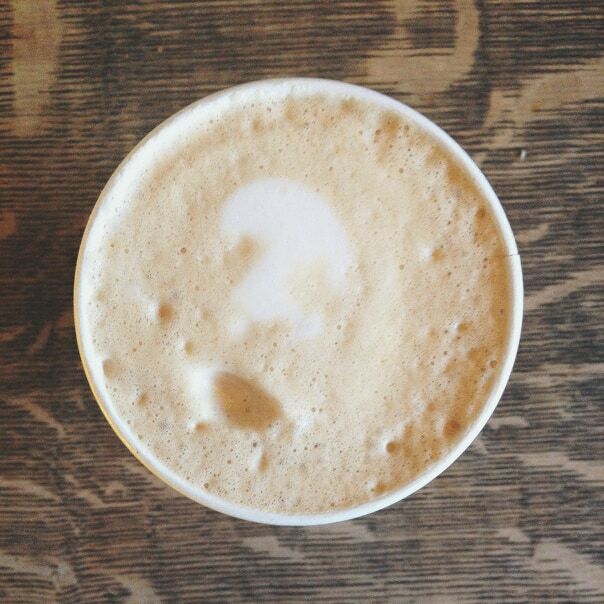 Definitely head to Drip on Main (or in Five Points) for a great cup of joe! Uptown, 1204 Main Street — On the same block as my office, Uptown is a place I visit once a week, if not more. It’s the perfect store for gift items. They have everything from pewter items, baby gifts, local food items, housewares, college team items, stationary and clothes. The best part? Almost everything can be personalized or monogrammed! Little Lambs & Ivy, 2816 Devine Street — On the market for baby items? This is a must-see store. 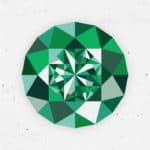 The items are on the higher end of the price scale, but they are high quality and unique. Every item will make you say “AW!” and it’s a wonderful place for an original baby shower gift. LaRoque, 2700 Devine Street — Featured in Southern Living and The New York Times, LaRoque has exploded in popularity in the last five years. Starting as a small shop in Columbia where AnnaBelle LaRoque made custom dresses, the brand has expanded and you can now find LaRoque brand dresses in stores throughout the Southeast. To meet AnnaBelle, however, she can only be found in the small store here in Columbia. 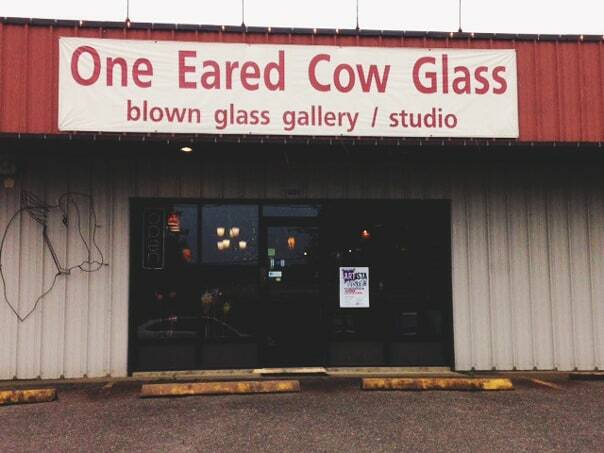 One Eared Cow Glass, 1001 Huger Street — A funny name with beautiful pieces. Their unique hand-blown glass art is a popular home item among locals, and would make a great souvenir while shopping in the area. They have items for both indoors and outdoors, and will even do a commission piece for you, so be sure to check them out online before you visit! Cromer’s Pnuts: 1700 Huger Street — “Guaranteed Worst in Town since 1935.” Head in to Cromer’s and ask the store owner about that slogan. He loves to tell the story! If you leave with nothing else from this great store and coffee shop, you must buy some of their popcorn. It beats even movie popcorn! It’s also a great spot to try boiled peanuts, and you can get bonus points from your friends and family by taking them a bag of cotton candy. 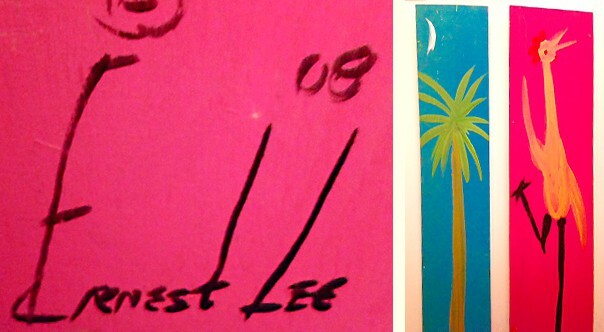 Chicken Man art — Ernest Lee, the “Chicken Man” himself, runs a portable art studio where he sells his extremely popular paintings. He has a very unique style that is easily recognizable. Many local homes boast his work, and people will come from miles away when they hear where he has set up for the day. He will also do commissioned pieces. Craft and Draft, 2706 Devine Street — Started by two USC alumni, this is a new craft beer store in downtown Columbia. Not only can you hang out and have a beer or two, but you can taste various beers and fill six packs, growlers or cans! Craft & Draft carries brews from around the country, as well as local S.C. brews. River activities through Palmetto Outdoor Center at the Saluda River — When the weather is nice, some popular past times are the river activities. Palmetto Outdoor Center is a place where you can rent tubes of various sizes. They also offer walking tours and moonlight paddle tours. Riverbanks Zoo, 500 Wildlife Parkway — Ranked 8th best zoo in the country in 2014 by Trip Advisor, Riverbanks is a must-visit destination when in Columbia. Not only can you walk around and see more than 2,000 species of animals, but you can feed and hold some animals, ride the elephants, see special attractions, brave your skills on a ropes course and catch some air on a zip line over the river. The zoo also has a botanical garden which doubles as a popular spot for weddings and other events. 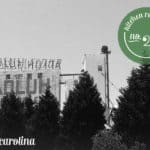 South Carolina State Museum and Planetarium, 301 Gervais Street — This museum is an inexpensive way to spend a rainy day, and is fun for any age. In addition to the main museum, there is EdVenture, a children’s museum, and a new planetarium which opened at the end of 2014. The museum is constantly getting new attractions and exhibits, and they rotate often so there is always something new to see. My favorite thing about the museum is that it is almost completely interactive, so it’s hard to be bored! 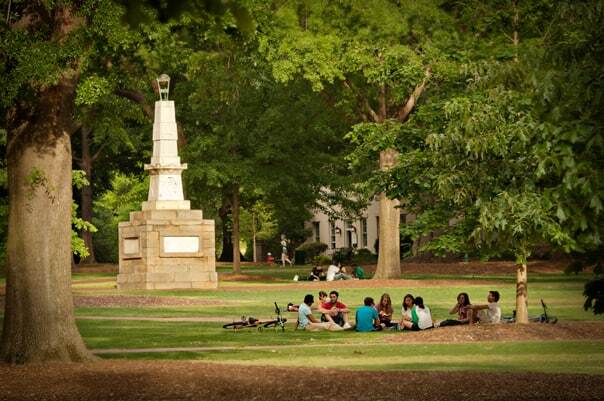 The Horseshoe, 900 Sumter Street — The heart of the University of South Carolina, the Horseshoe is a beautiful area of campus that is popular for studying, sunbathing, Frisbee, photo shoots, bridal portraits and afternoon cat naps. Built in 1801 when the University was founded, the Horseshoe and some of the surrounding buildings survived Sherman’s burning of Columbia during the Civil War, and many of those buildings are now on the National Register of Historic Places. It’s a great place for a picnic, too, if you find yourself in town with nice weather! 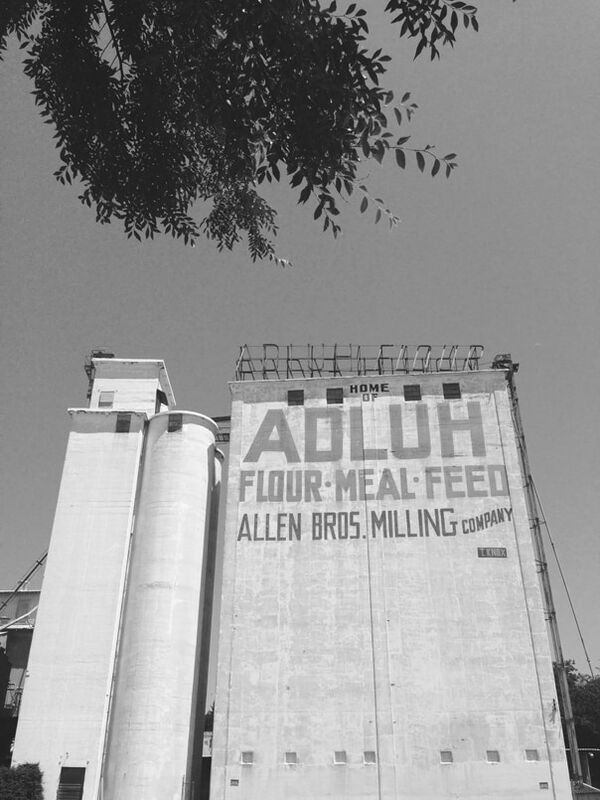 Two Gals and a Fork Food Tours, Meet at 1101 Lincoln Street — These tours are popular among tourists and locals alike. This is a great way to taste local food while getting some great information on these historical areas. 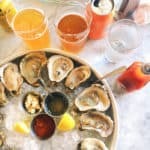 Choose from the Brunch and Munch tour or the Sites and Bites tour, or you can contact them about something completely different! 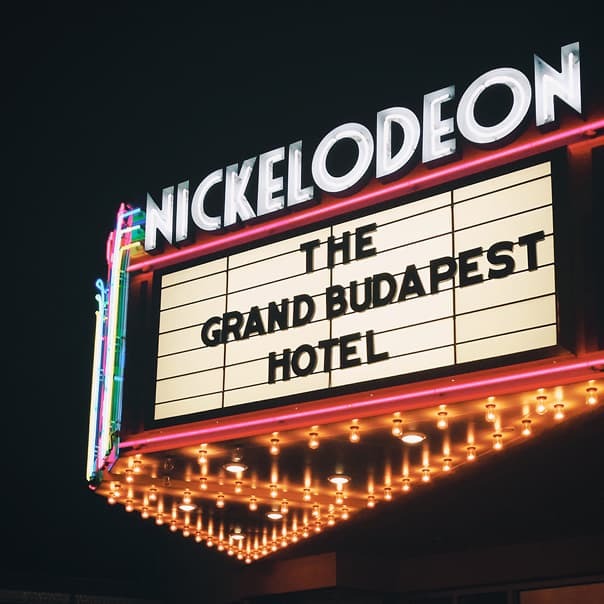 The Nickelodeon, 1607 Main Street — A local theater and non-profit organization that shows indie films and theater movies, this is a popular venue to see films on the big screen while you eat popcorn and enjoy a glass of wine or beer. Not your average concessions, huh? It’s part of the charm. They also offer experiences for discussion before and after a film. “The Nick” is also the presenter of the Indie Grits Film Festival, named one of the “20 Coolest Film Festivals in the World” by Moviemaker Magazine. 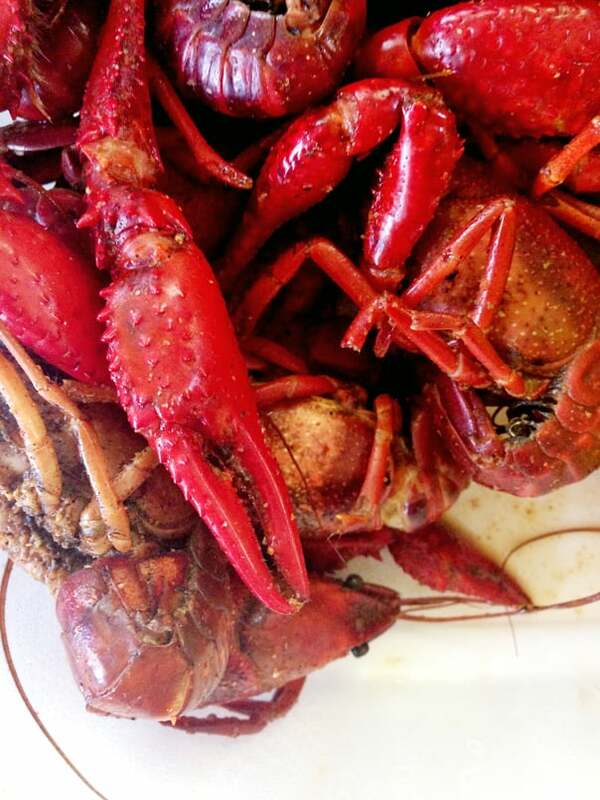 Rosewood Crawfish Festival — An annual festival on Rosewood Drive, the Rosewood Crawfish Festival will take place this year on May 2, 2015. Filled with good food (yes, crawfish included), music on multiple stages, vendors, a carnival, art and a 5K run, this festival is a fun day for all ages. Crawl, don’t walk! 45 minutes: The Big MO, Monetta, S.C. — The Big MO is a drive-in theater that is worth the trip! Every Friday, Saturday, and Sunday during the warmer months, you can catch a double feature movie for less than the price of one movie in regular theaters. They have concession stands, but they also welcome bringing your own food and drinks. Just tune your car radio into the station for your screen, and you’re all set for a night of fun. We like to take our puppy and set up the back of our SUV with tons of pillows and blankets for a comfortable spot. Just don’t forget to turn on your car every now and then to avoid a dead battery! 1.5 hours: Charleston, S.C. — Charleston is known worldwide as a beautiful and historical city. Charleston never disappoints as a weekend getaway. The sights, the weather, the people, the food, the shopping, the beaches — there is no shortage of activities in Charleston! Morgan is a South Carolina native who writes for the lifestyle blog, Yellow Door Diaries. YDD is a blog that includes many of her interests: recipes, DIY projects, cleaning tips and other random tidbits. 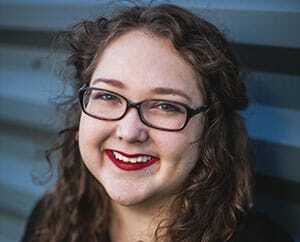 Morgan is a blogger only by night — by day she works in marketing at a multi-office law firm and has been there just over five years. Other interests she has include hanging out with her collegiate soccer coach husband, her puppy and her family and friends. She loves to cook, read, write and (poorly) garden. Morgan, how far is where you live from the Blue Ridge/Ellijay area? We need to get together, for reals.